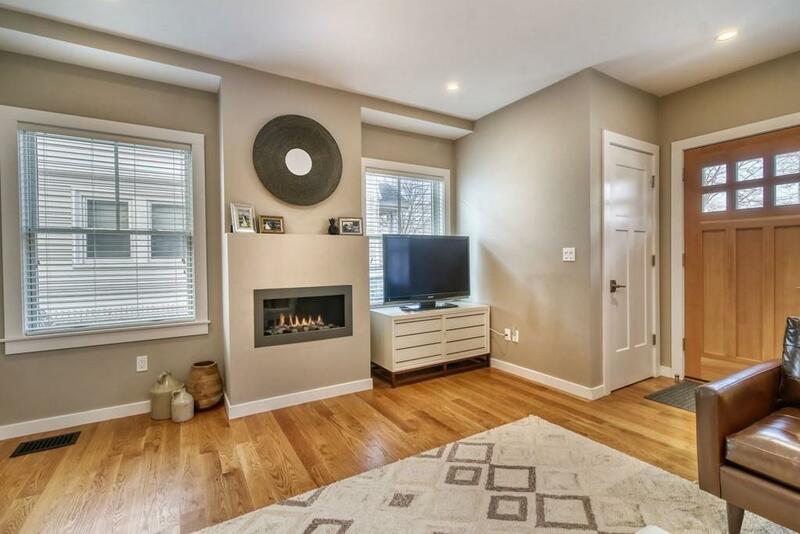 Chic and stylish townhouse overlooking popular Rogers Park. 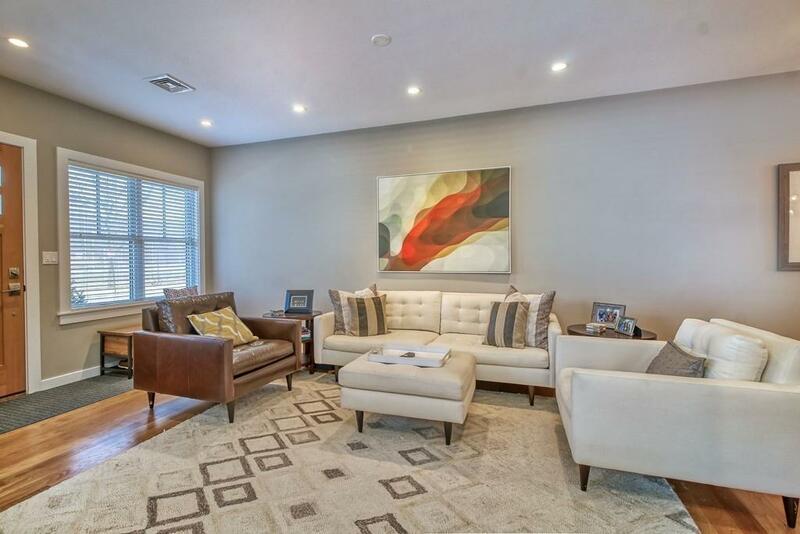 Contemporary design with high ceilings, oversized Pella windows, and hardwood floors. Open concept first-floor features a living room with gas fireplace, lovely dining area attractively appointed with high-end finishes. Sleek white cabinets, quartz countertops, gas cooking, and stainless steel appliances are highlighted in the kitchen. 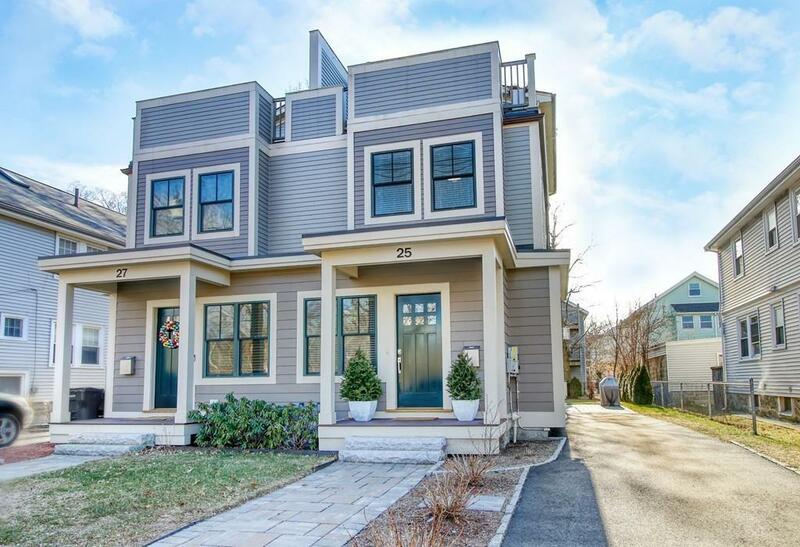 Third-floor master suite has vaulted ceilings, large closets, European style bathroom, and 2 roof decks! Finished walkout LL with large south facing windows, full bath, and storage. High energy efficient home with solar panels. Experience all this hip Brighton neighborhood has to offer including the burgeoning restaurant scene and shopping. A 2-minute walk to bus stop to Boston,15-minute walk to The Green Line at Boston College. All this comes with a private driveway for 3 cars, garden, and patio. 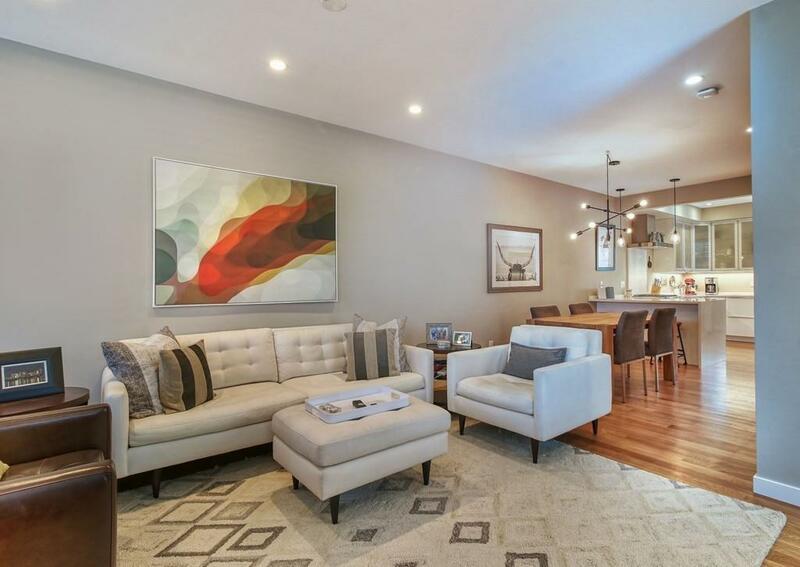 Listing courtesy of Karp Liberman Group of Compass. Listing provided courtesy of Karp Liberman Group of Compass.